Last year it was announced that Planet Hollywood at Disney Springs was going to go through a re-imagination into the Planet Hollywood Observatory. The construction has now begun on the outside facade to make this makeover happen. The big alien spaceship at the entrance is the first to go. 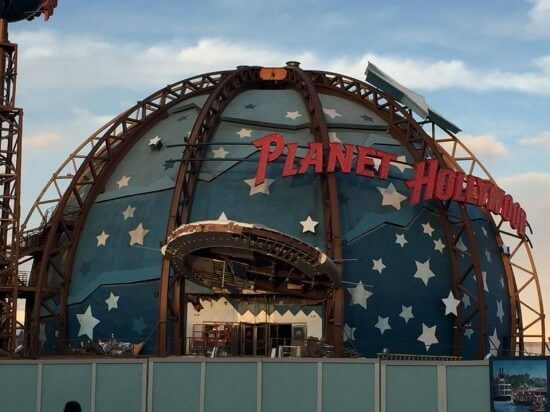 Planet Hollywood Observatory will be themed after a old school observatory with stars as its main theme and will have a look and feel that more closely matches the rest of Disney Springs. As part of the makeover, the venue will add a new outdoor terrace and bar space called Stargazers and feature live entertainment. A new refreshed menu will also be coming to the restaurant. Planet Hollywood Observatory will debut in Spring 2016. 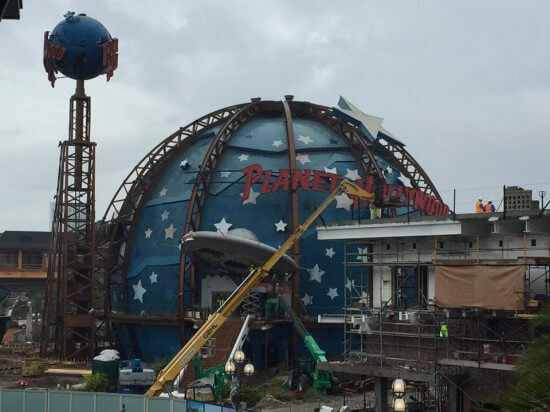 PHOTOS: Universal Orlando Tidbits – Beetlejuice’s Graveyard Revue, Harry Potter, Finnegan’s Bar & Grill and more! 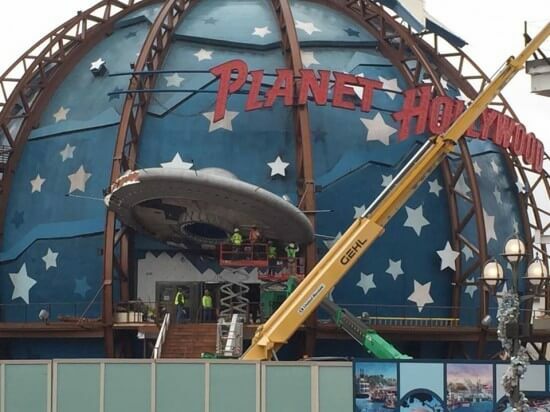 So what will happen to all the costumes and props from inside the restaurant? Such as Daryl Hannah’s tail from ” Splash”? 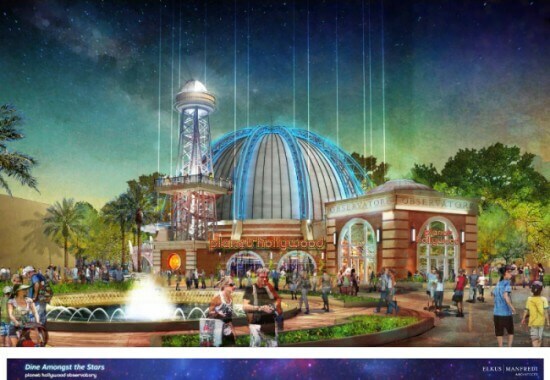 I’m guessing it’s mostly the exterior that will be Springs-themed. Still looks good. Any idea on the General Contractor?